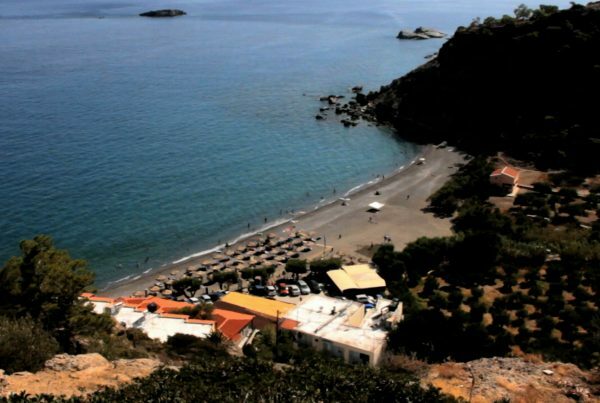 A short drive north of the famous palm beach of Vai (in the north east of Crete, distance 2 kilometers) and the monastery of Toplou, you find the relatively isolated bays and beaches of Itanos (three of them in total, also including a rather nice and relatively quiet sandy nudist beach). As an extra bonus there are the ruins of a Minoan city at the entrance of the main beach. 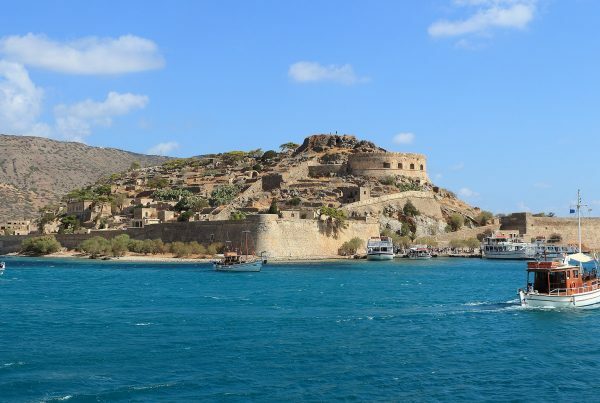 Itanos was one of the most influential places in east Crete and it thrived from early Minoan to early Byzantine times. 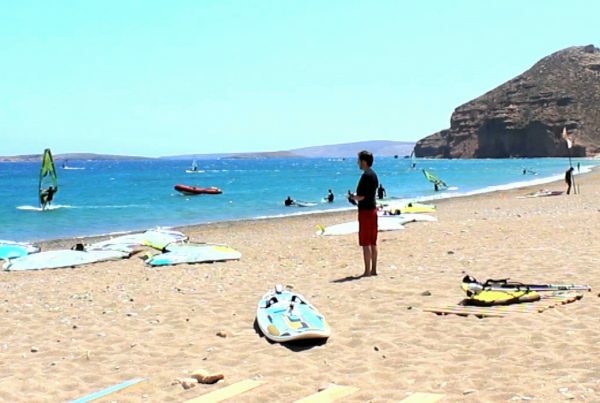 The third beach at Itanos has the advantage of the shade of the palm-trees. At Itanos you can combine your visit to the archaeological site with a dip in the cool waters. Keep in mind that part of the ancient city of Itanos is under water. Thus, snorkeling above the ruins, now home of fish only, can be a unique experience.